You don’t have to be Irish to enjoy celebrating St. Patrick’s day at Birch River Grill. In addition to its regular menu, specials include the seasonal favorite Old Fashioned Corned Beef and Cabbage, with boiled red skinned potatoes, carrots and Irish soda bread ($12.95) and Galway Bay Fish & Chips, Guinness battered Cod filets with seasoned crispy potatoes, tartar sauce and tangy cabbage slaw ($12.95). For dessert, try the Bailey’s Irish Cream Cheesecake ($5.95). Whether dining or enjoying Birch River Grill’s vibrant lounge and bar scene, the special drink menu offers something for everyone including Irish Coffee, Bushmills and coffee, garnished with whipped cream and green crème de menthe ($4); Dublin Handshake, Bailey’s, Jameson and Sloe Gin in a martini glass ($6); Irish Kiss, Bushmills, Peach Schnapps, orange juice and ginger ale ($6) and Nutty Irishman, Bailey’s and Frangelico ($6). Join your family and friends in celebrating Easter in the warm, rustic setting of Birch River Grill and enjoy their hearty Easter Brunch Buffet. The brunch features a Seafood Station with whole smoked king salmon, whole smoked trout, fresh shucked oysters, cocktail shrimp and green lip mussels; a Salad Station with mixed field greens, baby hearts of Romaine and orzo primavera salad; a Continental Breakfast with bakery fresh breads and fresh fruit; Eggs, Omelets and Waffles; a Carving Station with herb roasted prime rib of beef and maple roasted turkey breast; a Hot Buffet with roasted rainbow trout, pan seared chicken breast, three cheese au gratin potatoes, fusilli pasta and spring vegetable mélange; and Desserts like assorted mini French pastries, mini fruit tarts, tortes, cakes and Birch River Grill’s signature carrot cake. The Easter brunch is offered 10 a.m. to 3 p.m. Sunday, April 12, and is $32.95 for adults, $14.95 for kids 12 and under, and children under four are complimentary. Birch River Grill – An American Kitchen is open for breakfast, lunch and dinner seven days a week, 6 a.m. to 10 p.m. Monday through Thursday; 6 a.m. to 11 p.m. Friday; 7 a.m. to 11 p.m. Saturday; and 7 a.m. to 10 p.m. Sunday. The lounge stays open one hour later daily. All major credit cards are accepted. Complimentary parking is available. For reservations or more information, please contact Birch River Grill – An American Kitchen at (847) 427-4242 or visit them on the web at http://www.birchrivergrill.com/. Retro-chic West Loop eatery Dine introduces live music, encompassing sounds from the 1950’s through today, starting 7:30 p.m. to 10:30 p.m. Friday, February 27. Music will be offered on a regular basis. “We have a perfect setting for music,” says Khal Mohamad, manager and music director. It’s a natural progression for us to add music to our vibrant bar scene. We have a lot of comfortable lounge chairs, banquette seating and a dining room that’s perfect for an evening of good food and entertainment. We encourage people to come and stay; make an evening of it. Being situated in an area that’s one of Chicago fastest growing neighborhoods and offering complimentary parking is a big plus,” he says. Dine features $6 House Martinis every Friday and a popularly priced menu. Join the month long celebration at Dine with St. Patrick’s specials offered from 11 a.m. to 10 p.m. daily March 1 through March 31. Enjoy Guinness Corned Beef, corned beef brisket with brown sugar drizzle, Guinness marinade, baby carrots, baked parsnips and Irish style soda bread served with butter and jam ($18). For soup, try the Irish Stew, a bowl of traditional Irish Stew, soda bread served with butter and jam ($9). Enjoy the Irish Reuben, corned beef and cabbage, toasted Rye bread, Swiss cheese and Thousand Island dressing served with potato salad or fries ($9). For an appetizer or meal option, have the Irish Nachos with French fries, melted cheese, bacon, scallions and sour cream ($8.75). Dine also offers special St. Patrick’s cocktails including Irish Whisky Flights ($10-$15), or Irish Beers including Guinness, Green Beer on Draft, Sam Adams Irish Red and many more ($4-$7). For a refreshing treat, indulge in the Lemon Whisky Slush, blended Irish Whisky, sugar, fresh lemon juice and ice ($7). Warm up with Dine’s Irish coffee drinks ($7-$9). Celebrate Easter at Dine with the restaurant’s special Easter Brunch menu offered 9:30 a.m. to 2:30 p.m. Sunday, April 12. The buffet features Chef Carved Honey Ham and baron of beef, Made to order omelets, a Ceviche Bar with shrimp, tuna and vegetarian offerings, Traditional Breakfast Fare, Fresh Fruit and Berries and a Handmade Dessert Table that includes Red Velvet cupcakes, petite pastries and gourmet cookies, brownies and tortes. Refresh with Mimosas and Sparkling Cider ($5). Dine’s Easter Brunch menu is served Sunday, April 12, 9:30 a.m. until 4 p.m. The Dine Easter Brunch is $39 for adults, $15 for children 12 and under and children ages five and under are complimentary. Dine is open for breakfast, lunch and dinner seven days a week. Breakfast is served from 6 a.m. to 11 a.m. Lunch and dinner are served from 11 a.m. to 10 p.m. Sunday through Thursday, and from 11 a.m. to 11 p.m. Friday and Saturday. The Martini Bar and Lounge is open until 11 p.m. Sunday through Thursday, and until midnight Friday and Saturday. Dining is available at the bar. Valet parking is complimentary. For more information or to make reservations, please contact Dine at (312) 602-2100 or visit http://www.dinerestaurant.com/. Celebrate St. Patrick’s Day with authentic Irish specials at Glen Prairie Local Flavor Fine Food & Drink. Enjoy Irish Stout Corned Beef Brisket, Irish whiskey and mustard glaze, bacon braised cabbage and buttery parsley potatoes ($20). For dessert, try the Guinness and Chocolate Cheesecake ($6). Irish specials are served with Irish Soda Bread and sweet butter. The St. Patrick’s Day specials are served alongside the restaurant’s regular menu. Indulge in Glen Prairie’s St. Patrick’s Day drink specials like the Frozen Shamrock, blended honeydew melon, Midori Melon liqueur, Absolut vodka, cream and ice ($9); Irish Spring Coffee, Lavazza Vanilla latté and Bailey’s Irish Cream ($7); and Green Miller Lite Draft Pints ($2.50). Glen Prairie will be celebrating its first Easter Brunch menu on 10 a.m. to 3 p.m. Sunday, April 12. Bring your family and friends to enjoy a variety of farm fresh foods, including a Salad Station with asparagus salad, prairie salad and fruit salad; a Bakery Station, with various house baked breakfast pastries, a bagel bar and assorted artisan rolls; Omelets Made to Order; a Farm Fresh Buffet with eggs benedict, rustic skillet potatoes, scrambled eggs with chives and aged cheddar, Applewood smoked bacon and maple sausage; a Chefs Station with maple glazed Duroc ham and herb roasted Iowa farmed prime rib; a Fishery Station with smoked Coho salmon and smoked trout spread; and for younger family members, the Kid’s Corner, with silver dollar pancakes, Amish chicken nuggets, mac ‘n cheese, French bread pizzas and fruit cups. The cost of the Easter brunch is $27 for adults, $12 for children 12 and under and children four and under are complimentary. Glen Prairie Local Flavor Fine Food & Drink is located at 1250 Roosevelt Rd. in Glen Ellyn, Ill. In Chicago’s western suburbs. Glen Prairie is open 6 a.m. until 10 p.m. Monday through Thursday, 6 a.m. to 11 p.m. Friday, 7 a.m. to 11 p.m. Saturday and 7 a.m. until 10 p.m. Sunday. The lounge remains open one hour later than the restaurant each day. For more details, contact the restaurant at (630) 613-1250 or visit http://www.glenprairie.com/. Enjoy Easter brunch with family and friends at the chic pan-Asian restaurant Karma, 10 a.m. until 4 p.m. Sunday, April 12. There’s plenty to choose from including a Salad Station, with a variety of mixed greens and pasta salads; Seafood Station, with citrus poached King Salmon, shrimp with a plum tomato and horseradish sauce and Creole Bay scallop salad; Omelet Station; Hot Food, including scrambled egg with chives, pepper cured bacon, country sausage links, breakfast potatoes, buttermilk pancakes, cheese blintzes, Grecian style roast chicken, seared salmon and grilled pork loin; Carving Station, with herb and garlic crusted prime rib and oven roasted turkey breast; and Dessert Station, with assorted mini French pastries, fresh tortes and pies. Karma’s Easter Brunch Buffet is $26.95 for adults, $12.95 for kids and kids under five eat free. Reservations are recommended. Karma is open seven days a week 6:30 a.m.-10:30 a.m. for breakfast; 11:30 a.m.-2 p.m. for lunch; 5 p.m.-10 p.m. Sunday through Thursday for dinner, and 5 p.m.-11 p.m. Friday and Saturday for dinner. The lounge is open 5 p.m.-11 p.m. Sunday through Thursday; and 5 p.m. - midnight Friday and Saturday. Karma is located adjacent to the Crowne Plaza Chicago North Shore at 510 E. Route 83, Mundelein, Ill. For reservations or more information, call Karma at (847) 970-6900 or visit http://www.karmachicago.com/. The East Bank Club’s newly opened restaurant, Maxwell’s At the Club, is offering a special Passover Seder Buffet 5:30 p.m. to 9:30 p.m., Wednesday, April 8 . Maxwell’s head chef Rich Hall, along with East Bank Club’s executive chef, Mike Lodes have teamed up to prepare a lavish buffet complete with appetizers, entrees and desserts including Passover favorites like Matzo Ball Soup, Gefitle Fish with beet horseradish and Braised Brisket of Beef. “Many of our Passover dishes are prepared from family recipes. Passover dinner has been an East Bank Club tradition for years. Now that we are open to the public, we are thrilled to invite all of Chicago to enjoy this tradition,” says Mike Romano, director of food and beverage. Other items on the buffet include Chopped Chicken Livers with matzo, Roasted Asparagus and Beet Salad with goat cheese, Roast Rack of Lamb with mint demi and jelly, Salmon with artichoke sauce, Lamb Meatballs with roasted eggplant sauce and Grilled Spiced Tuna. Dessert selections from the buffet include Charoset, Chocolate Dipped Matzo and Flourless Chocolate Cake. Kosher wine also is included with the buffet, and each table will receive a traditional Haggadah so guests may participate in the Passover tradition of reading of the story of the Exodus. The Passover buffet is $45 for adults and $15 for children under 10. Reservations are recommended. Large groups are welcome. This Easter, leave the cooking up to someone else and join Maxwell’s At the Club for an Easter Brunch, 10 a.m. to 3 p.m. Sunday, April 12. This large buffet is filled with a variety of choices for every taste including Shrimp Cocktail, Chilled Roasted and Poached Salmon with mustard sauce, Lox and cream cheese, Curried Chicken Salad with apples, Applewood Smoked Bacon and Sausage, Toasted Cinnamon Brioche with peaches, Lemon Herb Chicken Breast, Roasted Potatoes and Vegetables, Three-Cheese Tortellini with spicy tomato sauce, plus a seasonal array of fruits and berries along with assorted pastries, breads and desserts. An Omelet and Waffle bar will also be available in addition to a Carving Station with Roast Prime Rib, Roast Rack of Lamb and Honey Glazed Spiral Ham. Children will enjoy a special visit from the Easter Bunny after 11 a.m. The cost of the buffet is $45 for adults and $15 for children under 10. Maxwell’s At the Club is located in Chicago’s East Bank Club (500 N. Kingsbury St., 312-527-5800, Ext. 301). Maxwell’s is open weekdays 11:30 a.m.-2:30 p.m. for lunch and 5:30 p.m.-9:30 p.m. for dinner. The bar and lounge is open 11:30 a.m.-9:30 p.m. Monday through Friday. Sunday brunch is served every week, 10 a.m.-2 p.m. Reservations for special holiday menus and events are strongly recommended. For more information visit online at http://www.eastbankclub.com/. The River North community, home to Chicago’s most eclectic mix of hotels, restaurants, art galleries, nightlife, retailers and many businesses and services, announces the re-launch of the River North Association under its new name, the River North Business Association (RNBA) (222 Merchandise Mart Plaza; 312-645-1047). Under its new name, the RNBA provides the same membership benefits and networking opportunities the organization has always offered, however the new name helps highlight the association’s dedication towards promoting and securing prosperity for neighborhood businesses. The RNBA serves as a resource for all River North establishments, including its 400 members, and is even a tool for businesses outside the River North area. The RNBA’s mission is to operate as a business association that promotes awareness and visibility, fosters responsible business development, stimulates growth and advocates constructive influence for the River North community. The organization hopes to become the strongest visible advocate of responsible business growth and community development in the River North neighborhood, through membership and progressive leadership. In addition to providing businesses a voice, guidance and opportunities to be successful, the RNBA offers a host of benefits to its members. RNBA membership benefits include: a company listing on RNBA Web site, quarterly newsletter and River North Directory; free monthly mixers including the Spring Fling, Showcase, SummerFest and Holiday Party opportunities; networking with hundreds of area businesses and residents; advertising on RNBA bi-weekly e-blast and newsletters; use of RNBA’s member mailing list; Street Banner advertisements; opportunities to increase reach and generate new business, and much more. To help people understand the depth of business variety in River North, the association is launching a button campaign featuring: “we mean business in River North.” As part of the launch participating businesses will distribute special “We Mean Business in River North” buttons beginning March 25. There is no cost for the button, but wearing will have many benefits including discounts at participating restaurants and retail stores, as well as business services including accounting, legal, public relations, graphic design, advertising and other service oriented business calling River North home. RNBA member businesses will be providing special discounts to those wearing the button on designated RNBA Days throughout the year. The first RNBA Day is scheduled, appropriately for Tax Day, April 15. A complete list of participants and their discount offers is available by visiting the RNBA Web site at: http://www.rivernorthassociation.com/. Customers taking advantage of the discount program need not be a member of the RNBA however; all participating businesses must be a member in good standing. Those businesses that choose to participate in the button program, will display a poster in their store window or office to their customers. The buttons will continue to be used for various discounts and promotions by RNBA members throughout the year. RNBA has put together the following “Top Ten” list to highlight the ten best reasons to become a member of the most diverse, eclectic mix of businesses in Chicago. 10. Get a River North Reputation. 9. Because RNBA means business! 8. Receive a cool sticker for a business’s window or door. 7. Two words: Street Banners. 6. Minimal annual investment gives local business more bang for their buck. 5. Have a hotline to Dana and Sharon, and play Stump the Administrative Staff for fun and prizes. 4. Gain access to 400 fellow members at networking events and through advertising opportunities. 3. Have a voice in the city government. 2. 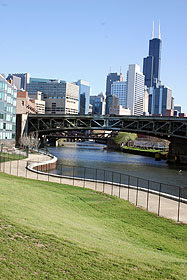 Learn about River North activities before any other business in the city! The River North Association was founded in 1981, and quickly became a force in the community, representing businesses and providing member services to help them succeed. The organization recently changed its name to the River North Business Association, but maintains the mission and ideals of which it was founded. The RNBA hopes to preserve a community environment that will provide a high quality of life for all who live, work and visit River North. For more information, visit www.rivernorthassocation.com or call (312) 645-1047. Attention Chicago foodies, the 2nd Annual Chicago Restaurant Week starts tomorrow. From Feb. 20-27, more than 130 eateries around the city will offer special deals for lunch or dinner, or both! 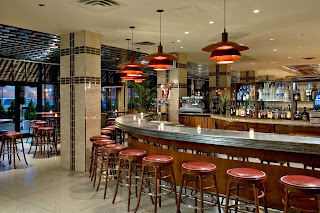 Kurman's very own Dine (733 W. Madison St.; 312-602-2100) is offering a special prix fixe dinner for just $32 per person. From 5 p.m. to 11 p.m., customers can indulge on the three-course menu including Not So Much of a Wedge salad with baby iceberg lettuce, green onions, grape tomato, peppered bacon and St. Pete bleu cheese dressing, or the Spice Rubbed Prime Tenderloin with golden beet vinaigrette and a Brussels sprouts-horseradish salad. For the main course, choose from the Garlic Rubbed 16 oz. Bone-In Ribeye with creamed spinach, jumbo asparagus and natural jus, or the Slow Dried Rummo Pasta with chili flakes, pan-roasted grape tomatoes, shallots and baby arugula. For the final course, enjoy desserts like the Ricotta Cheesecake with Bing cherry-Zinfandel gelato and sauce, the Seasonal Creme Brulee with a crisp sugar crust or the daily selection of Ice Cream or Sorbet. Dine is open for breakfast, lunch and dinner seven days a week. Breakfast is served from 6 a.m. to 11 a.m. Lunch and dinner are served from 11 a.m. to 10 p.m. Sunday through Thursday, and from 11 a.m. to 11 p.m. Friday and Saturday. The Martini Bar and Lounge is open until 11 p.m. Sunday through Thursday, and until midnight Friday and Saturday. Dining is available at the bar. Valet parking is complimentary. For more information or to make reservations, please contact Dine at (312) 602-2100 or visit www.dinerestaurant.com/. For a complete list of restaurants participating in the 2nd Annual Chicago Restaurant Week, please press here. We at Kurman Communications couldn't help but spread the word about this terrific event taking place in NY on Sunday, March 29. Many of Cindy's friends from the James Beard Foundation and Women Chefs and Restaurateurs are participating. If you're available, you should plan to attend. The lineup is awesome and features many of our country's best chefs including Chicago's Rick Bayless, Gale Gand and Tony Mantuano. Reception: Mary Cleaver, The Cleaver Co. Attention fun-loving sports fans: Join the Chicago Blackhawks, A Silver Lining Foundation (ASLF) and the Foundation Fighting Blindness (FFB) for the 4th annual Nite at the Net, 7 p.m. until 1 a.m. Saturday, March 21 at the Hinsdale Racquet Club (5730 S. Grant St., Hinsdale; 630-325-6066). There’s something for everyone at Nite at the Net. Mingle with Chicago Blackhawks defenseman Brent Sopel and NBC5 personalities, bid on silent auction prizes under the heated tent, and enjoy food, martinis, beer and wine while listening to DJ music and playing air hockey or table tennis. There will be a private area featuring a Scotch and cigar bar, and tennis players will enjoy the Hinsdale Racquet Club’s open courts for nonstop tennis at all levels of play. Players can even receive swing advice from the Hinsdale Racquet Club’s pros. Proceeds from the event will benefit ASLF and FFB. Tickets to the event are $100, and can be purchased at http://www.asilverliningfoundation.org/, http://www.niteatthenet.org/ or by calling the Hinsdale Racquet Club. 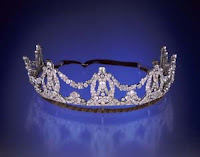 See glamorous, previously-worn Hollywood jewels (like the tiara Madonna wore in her wedding to Guy Ritchie, pictured) at "Red Carpet Moments," an event hosted by A Silver Lining Foundation from 6:30 p.m. until 9:30 p.m. February 18 at A. Marek Fine Jewelry (3021 Butterfield Rd., Oak Brook; 630-954-2662). Walk the red carpet, enjoy complimentary cocktails and hors d’oeuvres, and peruse and even purchase the jewels once worn by Hollywood celebrities such as Clark Gable and Madonna. The jewels will be on display at A. Marek Fine Jewelry through February 22. Jewels for Charity is a program founded by Beverly Hills, Calif. jewelry company Kazanjian Bros., Inc., and the Jewels for Charity Hollywood Collection features prized jewelry formerly owned by Hollywood’s A-list celebrities, including Bing Crosby, Clark Gable and Eva Gabor. Thirty percent of any sales made February 16 through 22 at A. Marek Fine Jewelry, from both A. Marek’s own collection as well as from Jewels for Charity, will be donated to ASLF when specified. Mark your calendar for this once-in-a-lifetime opportunity to gaze at these fine jewels and show your support for A Silver Lining Foundation! For more information on A. Marek Fine Jewelry, 3021 Butterfield Rd., Oak Brook, Ill., visit www.amarekfinejewelry.com or call (630) 954-2662. For more information on Jewels for Charity, visit www.kazanjianbros.com. Haven't made plans to celebrate V-day yet? The East Bank Club's recently opened restaurant, Maxwell's At the Club (500 N. Kingsbury St., Chicago) is offering an affordable option this Friday, Feb. 13 from 5:30 p.m. to 9:30 p.m. This four-course meal prepared by head chef Rick Hall, is just $45 per person. First course options include Spicy Salmon Roll with wasabi, ginger and soy sauce; Grilled Chipotle Shrimp Skewer or Grilled Vegetable Tian. For the second course, choose from a Caesar Salad, Caprese Salad or Crab and Asapargus Bisque. Entree selections include Petite Filet and Lobster Tail with roasted cauliflower; Veal Chop Milanese with creamy polenta; Grilled Kona Kampachi with lemon-ginger risotto; Noisettes of Lamb Loin with ratatouille and Rotisserie Organic Chicken with roasted root vegetables. And for the finishing touch, dessert options include Chocolate Raspberry Decadent Cake; Mixed Berries with Zabaglione and Cookies; and Chocolate Fondue. For reservations, contact Maxwell's at the Club at (312) 527-5800 ext. 301. Valet parking is available. For more information about the restaurant, please visit www.eastbankclub.com. Over the weekend, Dine's chef Eric Tran appeared on WLS-TV's morning news broadcast to show how to make Dine's signature red velvet cake--in a heart shape, just for Valentine's Day. With the help of anchor Stacy Baca, Eric described red velvet cake's unique taste and appeal, as he demonstrated how to make the dessert. In the photo, Eric slices strawberries as a garnish during his segment "tease" during the broadcast. To make Dine's Red Velvet Cake for your sweetie on Valentine's Day, press here for the recipe, featured on ABC's Web site. Dine features the Heart-Shaped Red Velvet Cake as part of its special Valentine's Day menu, offered February 13 and 14 alongside the restaurant's regular menu. Make reservations today! Call (312) 602-2100 or visit http://www.dinerestaurant.com/. The fun and festivity of the French Quarter comes alive this Mardi Gras for an extended celebration, February 20-24, at Pappadeaux Seafood Kitchen, 798 W. Algonquin Rd., Arlington Heights (847- 228-9551). Pappadeaux will be transformed in to a street festival featuring the sights, sounds and revelry that you’d experience if you were visiting Mardi Gras in New Orleans. 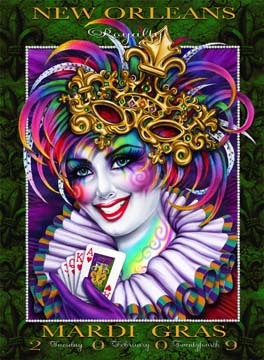 The four day festival features live New Orleans music, face painters, beads and doubloons as well as fabulous food specials. You need not travel too far to celebrate. Known for the freshest seafood and Louisiana-style favorites like Blackened Opelousas Fillet, Crawfish and Shrimp Fondeaux, and Seafood Gumbo, Pappadeaux will be offering Mardi Gras specials in addition to its regular menu. Specials include: a dozen Oysters ($3.95) or a pound of Broiled Crawfish ($5.95/lb), Stone Crab ($9.95/half pound), Lobster Tail ($21.95) and Surf ‘n Turf featuring Filet Mignon and Lobster ($29.95). 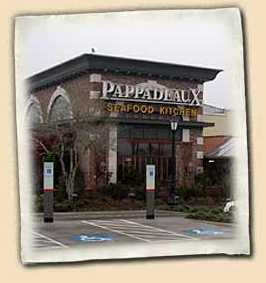 The Pappadeaux bar menu starts at $1.95 and is available 3 p.m. to 7 p.m. weekdays. Pappadeaux’s carefully designed specialty drink menu showcases their signature cocktail, the Swampthing ($8.95), including a Keepsake Glass. A must try for those not faint of heart, the Swampthing is a multi-layered frozen drink starting off with a layer of raspberry liqueur, then a layer of Frozen Hurricane, followed by a layer of Frozen Margarita, and topped off with a layer of melon liqueur. Equally delicious are the more traditional cocktails, including all Grey Goose cocktails and martinis ($5.50), and Goose Island drafts (3.25). The party never stops. Festivities begin at 11 a.m. and run until closing at 11 p.m.
For information and reservations, call Pappadeaux Seafood Kitchen at 847-228-9551. Large parties and private dining are available.